I have seen clusters and clusters of this beautiful purple flowering herb all over the Austin, Dripping and Wimberly areas. I had no idea what they were until I received my weekly bulletin, Dripping Springs Babble. This beautiful photo made the Dripping Springs pic of the Week and the wildflower I have been wondering about was finally identified. 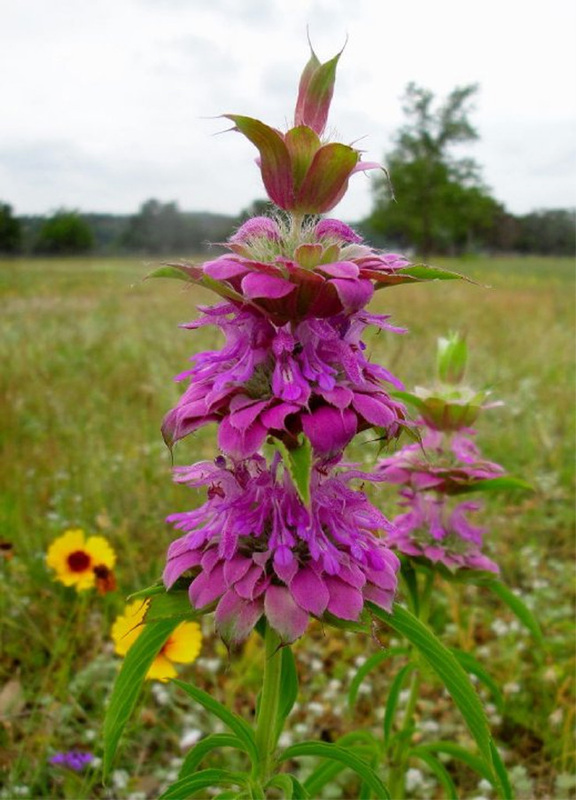 I looked up Horsemint on the LadyBird Johnson Wildflower Center's plant database and discovered that it's commonly referred to as Lemon beebalm, Lemon Horsemint, Purple Horsemint, etc. It's native to U.S. and has a distinctive lemony scent when you rub or crush its leaves. It's no wonder that bees and butterflies are attacted to this beautiful plant. Photograph of Horsemint by Melanie Cambron.